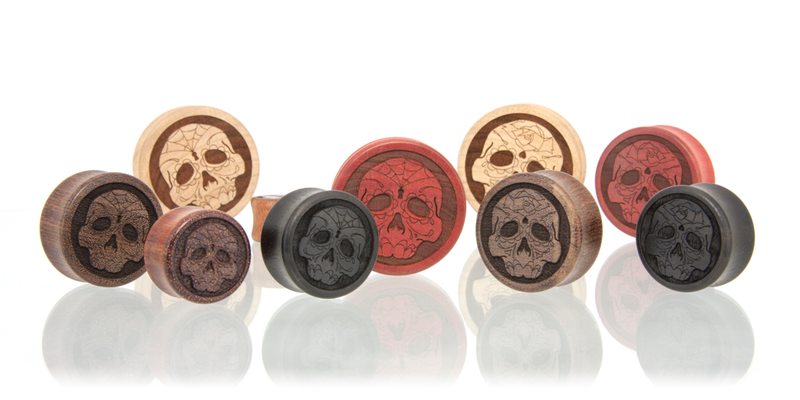 It's never a bad time to rock a sweet sugar skull in your lobes! 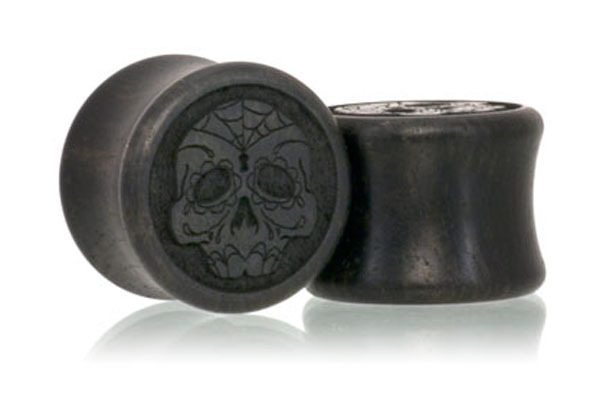 The Day of the Dead plugs are hot! 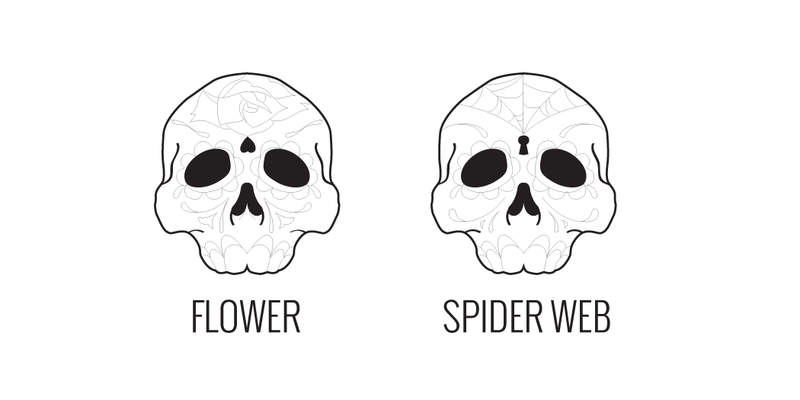 Offered in two variations; one with a flower on the forehead and another with a spider web. 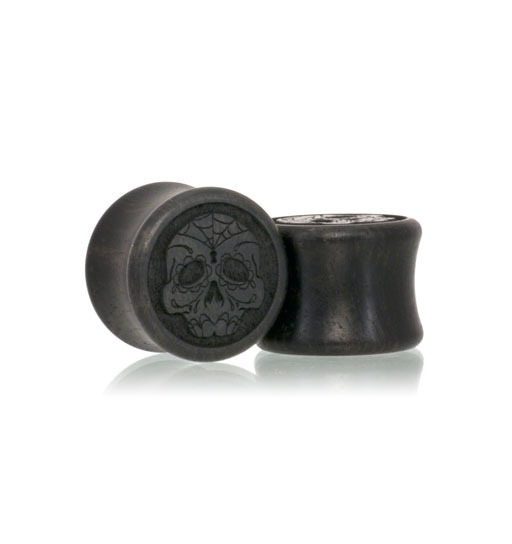 Both are made in the lovely Gaboon Ebony wood.